*This guide includes cars in the budget range between $13,000 and $17,000 including VAT & Registration costs. Small hatchbacks are relatively common in Lebanon. Actually, the cars listed below represent around 10% of the whole NEW car market in Lebanon. People interested in this type of cars usually look for affordable prices, good fuel economy, low maintenance costs and excellent reliability. 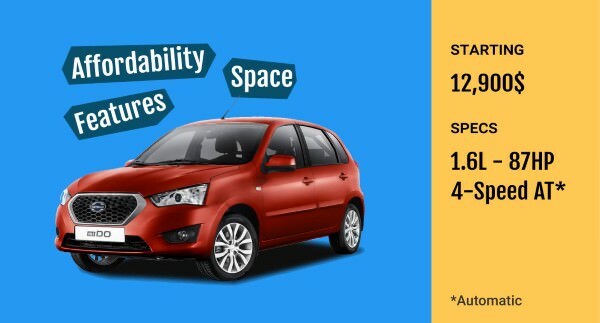 Unlike city cars, small hatchbacks can comfortably fit a family of 4 with their stuff, or carry your project and work materials. These are great cars if you drive a lot in the city; parking is quite easy thanks to their compact size. We will guide you through some of the choices available. We will also tell you about the strong points of each so that you can choose the one that best matches your priorities. 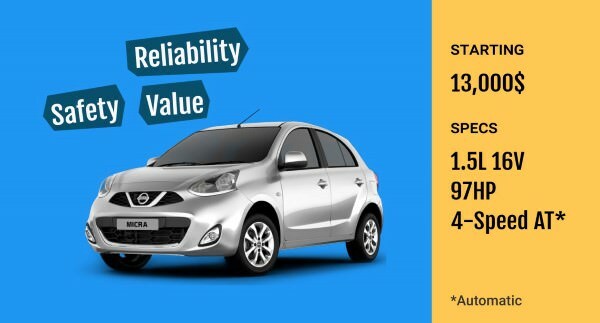 Power and safety are guaranteed with Micra, which offers ABS and 2 Airbags as standard, along with a decent 1.5L engine. Most important is the value for money it offers, especially with the recent decrease in price from $14,500 to $13,000. Though some of the features are comparable to other cars in this list, the Micra can also hold its weight price-wise against city cars like the Kia Picanto and Hyundai Grand. 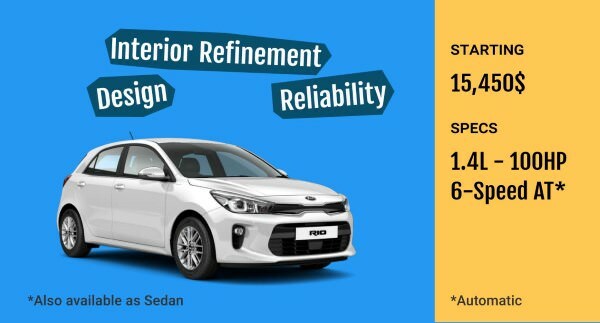 Kia Rio goes for a 6-Speed automatic transmission, which is newer than the old 4-Speed, more fuel efficient and makes for better overall handling. Also, the 2018 model is totally new and the interior is comfortable and well laid out. Interesting Reads: Avoid these 5 common mistakes Lebanese car buyers make. The French appreciate comfortable rides and Renault Stepway is no different. It is also practical and spacious, and these are two of its key strong points. 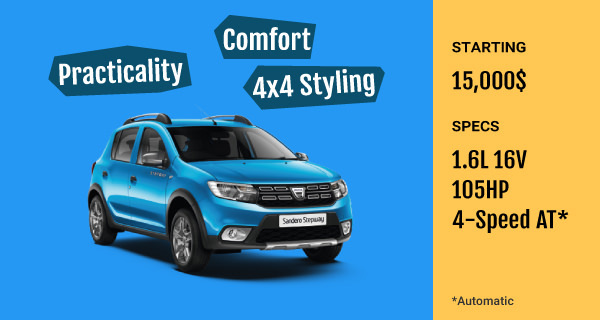 It is not a 4WD, but the higher ground clearance and roof rails make it more practical for outdoor activities than the rest of the cars on this list. 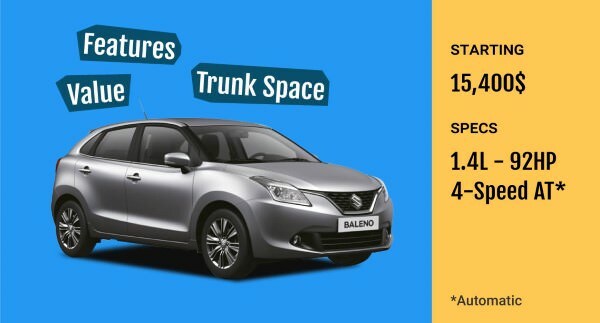 Suzuki Baleno looks modern and offers decent features and plenty of interior space, especially in the trunk. 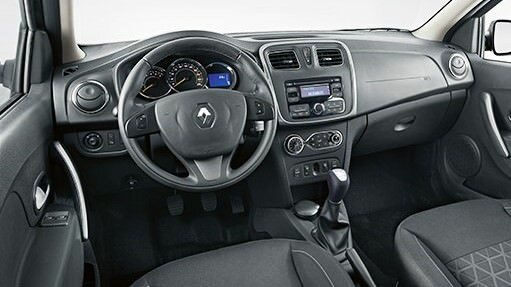 You get 6 speakers as standard, along with LED datyime-running lights, and of course, 2 Airbags & ABS. Interesting Reads: Here are 5 ways to get discounts on your new car at Lebanese dealerships! 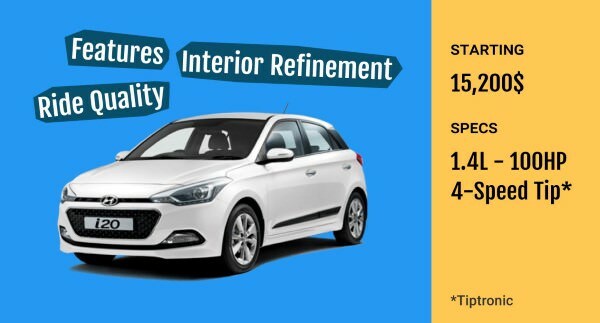 Hyundai has been offering free sensors, rearview camera and navigation on its i20 automatic models. What is good with Hyundai is that you always get at least 3 versions to choose from. This allows you to always find something that suits your budget without much compromise on the features you will be getting. 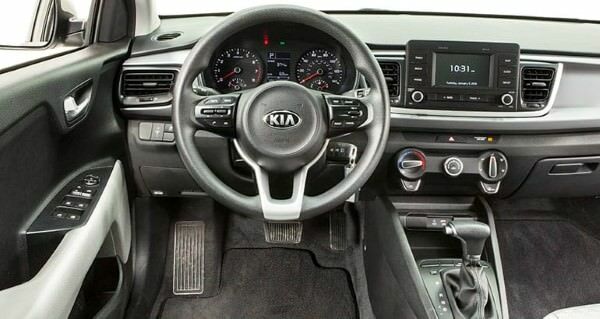 The interior is clean and very well laid out; the ride quality is nice! mi-Do and Lada Kalina are grouped together since they feature the same platform and engine. Although their materials may not be as refined and polished as some of their competitors, they offer both space and affordability. This combination was behind their success, attracting people who want to easily fit their families and stuff without paying more than $13,000. Interesting Reads: Avoid being misled by knowing the most common ad tricks in Lebanon! Suzuki Swift has been everyone’s crush at one point or another. It is loved for its stylish design and driving pleasure. This is a car that you will enjoy driving whether on a daily basis or for a spin on some challenging mountain roads. 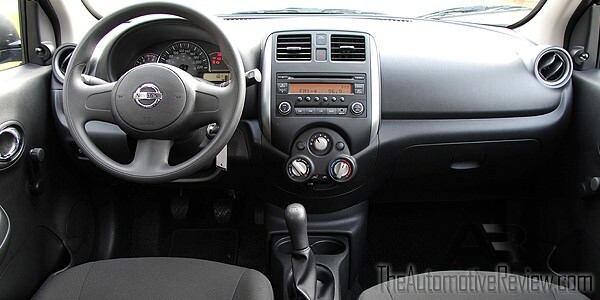 It is similar to Nissan Micra in terms of size, as both are slightly smaller than the rest of the selection. 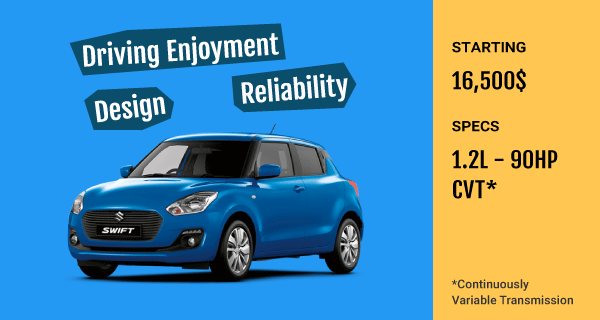 If the new generation Swift is above your budget, you can get the 2017 Swift at a bargain price. 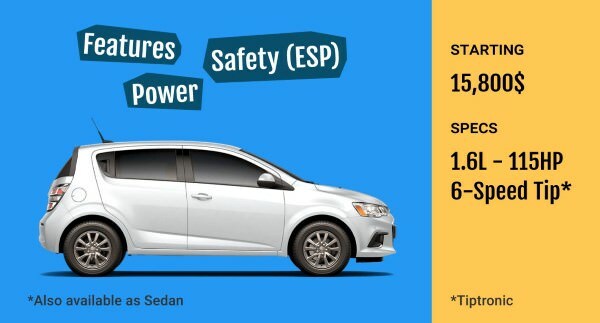 Chevrolet cars in Lebanon almost always offer more power and safety for all categories of cars This applies to Aveo, offering an engine that is more powerful than other competitors and a modern 6-Speed tiptronic transmission. The driving experience is one of the best and you will have no problem taking 3 passengers on a mountain trip. 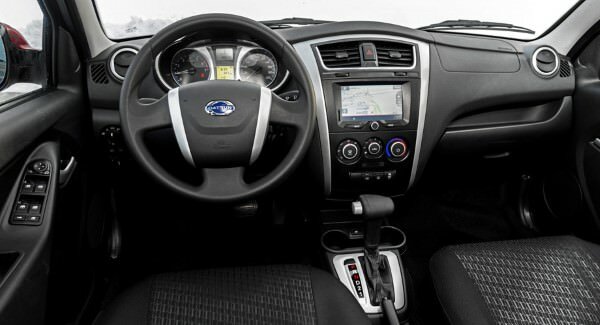 2 Airbags, ABS and notably ESP are available as standard features. Interesting Reads: You don't buy shoes without trying them on first, you should do the same with a car! UPDATE: The Renault Sandero Stepway price was corrected to $15,000 instead of $16,000 since the $1,000 discount offer is still valid till the end of June. And the Suzuki Baleno features were corrected, it does not have rear A/C vents.